Four years ago the world championship for soccer in South Africa gave me a perfect occasion to look at some online resources for the legal history of South Africa and other African countries. Looking beyond the lines of soccer proved to be interesting indeed. Only after watching many games of this year’s championship in Brazil the idea of writing about Brazil’s legal history surfaced at long last. In this post I will present a number of online resources for Brazilian legal history, and I will comment on some existing online guides for the history of Brasil. The result is a research guide which at turns can seem too long and at other points too compact. For everybody interested in contemporary Brasil there are several excellent online guides. I would place the Brazilian page of the Latin American Network Information Center (LANIC) at the University of Texas at Austin first. The LANIC offers a separate page on Brasil’s government, law and politics. The Library of Congress has a splendid webpage on Brazilian law and resources for research, and also a compact overview of legal resources concerning the República Federativa do Brasil. The World Legal Information Institute, too, has a very detailed overview of Brazilian legal resources. Cornell University’s Legal Information Institute offers on the page for Latin America a useful standardized links list to legal and judicial institutions, including those for Brasil. The very detailed page for Brasil at Globalex (New York University) has not been updated since 2008. The Latin American Collection of Yale University Library provides a very generous general online guide to Latin American Studies. I would recommend in particular the online guide Pesquisa no Brasil / Researching Brazil, a project of the University of Indiana, Bloomington. Where to start for finding digital resources for Brazil’s legal history? For this post I could start with the websites I put together during the past years on the page with digital libraries of my own legal history portal Rechtshistorie. The challenge for me when creating this page was to offer not just a few websites easily found by using the world’s major search engines. Instead of just a links list I add to every link concise information about content and scope of a website. It can be a considerable effort to find relevant resources for a particular country. Some Latin American countries still do not figure at all on this page. The lacunae are made somewhat smaller by including also a number of websites and projects dealing with Latin America in general. It is useful to start with them here. The best starting point for looking at Brazil’s legal history might be the impressive Portal Euroamericano de Historia y Antropología Jurídica, an initiative at the Universidad de Girona. This portal to legal history for the Iberian peninsula and Latin America has interfaces in Spanish, Catalan, Portuguese and English. However, the digital library at this portal has only four titles concerning Brazil, and with just two links to university departments in Brasil the links selection is distinctly meagre. The University of Maryland has created the Early Americas Digital Archive, with both its own archive of digitized texts and a gateway to online texts by authors writing about North and South America from 1492 to 1820. The historical constitutions of many Latin American countries can conveniently be found at Constituciones Hispanoamericanas, a part of the Spanish portal Biblioteca Virtual Miguel de Cervantes, with also a section devoted to legal history and jurisprudence. However, Belize, Brasil, Haiti, Jamaica, Suriname, Guyana and French Guyana are excluded at this portal for Latin American constitutions. If you prefer reading the English translations of these constitutions you can quickly find the major portals for online constitutions using the same page of my website, The Constitution Finder of the University of Richmond Law School has not only the Brazilian constitutions of 1824, 1891, 1934, 1946, 1967 and 1988, most of them in Portuguese, but also the current constitutions of the estados that form the Federal Republic of Brasil. At Verfassungen der Welt you can also find the 1822 constitution of the united kingdoms of Portugal and Brasil (1815-1822). The portal Legislación Histórica de España created by the Ministério de Cultura, Madrid offers a database with digitized Iberian and Latin-American legislation, but countries outside the Spanish empire are excluded. At Bicentenario de las Independencias Iberoamericanas, a website created by the portal for Spanish archives for the bicentennials of the independence of several Latin American countries, Brasil has been included. For nearly ninety institutions information is provided about their archives and the resources concerning the Brazilian independence (1822). Let’s not be deterred by some projects which were only less useful for this specific subject, and continue this overview. The Biblioteca Digital del Patrimonio Iberoamericano is a project of the Biblioteca Nacional de España and several national libraries in Latin America, with mainly manuscripts, drawings and old maps; Brasil’s Biblioteca Nacional in Rio de Janeiro contributes some 19,000 items. This portal can be viewed in English, Spanish and Portuguese. The German gateway Cibera, Virtual Library Latin-America/Spain/Portugal, is very useful for any research on Latin American subjects; here, too, you can choose your language, German, English, Spanish or Portuguese. Its subdomain Iberolinks offers a guide to relevant websites, with some 260 websites for Brasil. The Latin American Pamphlet Digital Collection of the Widener Library, Harvard University, is one of the few digital collections presenting digitized pamphlets from this region. With the portal Memórias de África e do Oriente we are finally sailing directly into the history of the former Portuguese colonial empire. Alas the project team could not get a specialist for Brazil, which clearly led to a rather thin Brazilian presence. Africa is the focus of this project at the Universidade de Aveiro. At this portal you will have to search for Brasil among the more general resources. A notable exception are the five volumes of the Monumenta Brasiliae, Serafim Leite (ed.) (5 vol., Rome 1956-1968), a source edition for the history of the Jesuits in sixteenth-century Brazil. Of course the Biblioteca Nacional Digital of the Biblioteca Nacional de Portugal in Lisbon should not be forgotten, if only already for the digitized maps and images. Among the several Portuguese digital libraries the website Ius Lusitaniae of the Universidade Nova de Lisboa offers a relatively small but useful selection of historical legislation and other legal works which also touch the Portuguese overseas empire. The Brazilian Biblioteca Nacional has created a large Biblioteca Nacional Digital. Apart from digitized books you can also follow themes in a series of dossiers, in particular A França no Brasil / La France en Brésil. The cultural heritage portal Rede da Memória Virtual Brasileira is a general portal for digitized heritage, with initially only among the political items some subjects related to law and justice. As a Dutchman I was nicely surprised by the page on the Dutch period in Brasil centering on Pernambuco Holandes. 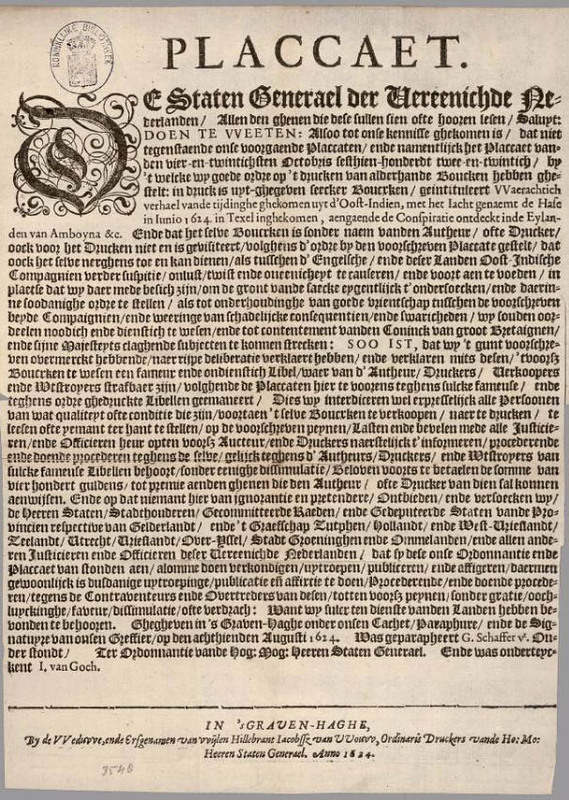 You can find here a digitized copy of Caspar van Baerle ‘s (Barlaeus) illustrated book Rerum per octennium in Brasilia (…) gestarum (Amsterdam: Blaeu, 1647) about the Dutch presence in Brasil during the second quarter of the seventeenth century, one of the most important early historical accounts by a European author. Together with the Brazilian national library the Library of Congress has created the bilingual portal United States and Brazil: Expanding Frontiers, Comparing Cultures / Brasil e Estados Unidos: Expandindo Fronteiras, Comparando Culturas which brings you to digitized books, maps, prints, and much more. Here, too, the Dutch period comes into view. The Universidade de São Paulo has created Brasiliana USP, a general digital library with some juridical works, but you can also use Obras Raras e Especiais, the digital library for rare and old books of this university. You can find here for instance the issues for 120 years (1893-2013) of the legal review Revista da Faculdade de Direito de São Paulo. Several Brazilian parliamentary and judicial institutions have created digital libraries, too. The Câmara dos Deputados has got a Biblioteca Digital with a section for obras raras, rare books. The Suprema Tribunal Federal, the Brazilian constitutional court, has not only its own digital library, but also the Julgamentos Históricos, a selection of verdicts pronounced by this tribunal starting in 1891, and also for the Supremo Tribunal da Justiça (1829-1891) and the Casa da Suplicação (1808-1829). The Supremo Tribunal da Justiça is the supreme Brazilian court for non-constitutional matters, with again its own Biblioteca Digital. Another digital library, the Biblioteca Digital do Superior Tribunal de Justiça, contains also information from its own museum. The Senado Federal, Brazil’s senate, has a digital library and a digital collection of its debates; unfortunately the digitized series of the Anais do Senado Federal has got lacunae. Outside Brasil some libraries offer very substantial digital collections concerning the history of Brazilian law and government. The John Carter Brown Library at Brown University has digitized its copy of the rare Código Brasiliense, a three-volume collection of Brazilian laws printed between 1811 and 1822. In the Internet Archive this library has placed some 1,600 titles of their Portugal and Brasil collection. The ordering at the Internet Archive of the collections from the John Carter Brown Library is very practical, only few libraries have followed this example. The Center for Research Libraries (CRL) in Chicago has created the collection Brasilian Government Documents, with provincial and presidential reports, presidential messages and the Almanak Laemmert, the yearly guide of the Brazilian government. The CRL has more materials for Brasil’s legal history. Within the LAMP project (formerly known as the Latin American Microform Project) materials concerning Brasil take a large place. The guide to LAMP collections mentions the Abdias Nascimento Collection. The archival collection of this artist, scholar and politician has been digitized at Ipeafro, the Instituto de Pesquisas e Estudos Afro-Brasileiro at Rio de Janeiro. A grim note is struck by the project Brasil-Nunca Mais (Never Again) which documents in 538 microfilm reels court documents about the trials against civilians at the Superior Tribunal Militar, the Brazilian Military Supreme Court, between 1964 and 1979. During detention torture was used among other humiliating and inhuman forms of treatment which violated human rights. The project website gives access to a substantial number of digitized records about these trials and violations. The Brazilian digital libraries mentioned until now are almost all present at my website. On the page for museums and legal history I included the Museo do Crime at the Academia de Policia in São Paulo. At the moment of creation of that page I could not find a functioning website for this museum. In fact there are both a Museo do Crime and a Museu de Policia Civil, with alas for both no website. However, the Museo do Crime is present at Facebook. At this point it is wise to note that more than hundred Brazilian digital libraries and repositories are harvested by BASE, the Bielefeld Academic Search Engine with now well over 3000 contributing institutions. You will forgive me my smile when I visited a website with the proud title Guide to the legal history of Brasil, an offspring of Law of Brasil. The guide with just one page gives only an overview of the distinct periods of Brasil’s history since the Independence of 1822, without any reference to sources in print or online. The mobile app LookHistória gives you nearly more. The constitutional changes in Brasil, starting with the constitution of 1824, are very important. Brasil changed from an empire into a republic, followed by a military dictatorship after the 1964 coup, and again a republic. From an earlier post here I remembered an online guide for doing Latin American research in Paris. The online journal Nuevo Mundo / Mundos Nuevos exists since 2001. On its website, accessible in four languages, much more is offered than just a regular online journal. The Guia del investigador americanista, the section with online guides started in 2006. Here I will focus on those guides directly relevant for Brasil. Of course it is wise to look also at guides to resources in major European and American cities, but including them here would take too much space. When you choose the guide for research in Amsterdam (2009) you should remember that you can find much at Leiden, too. After the first guide for Brasil in 2009, Fuentes para la historia colonial de Brasil en los archivos españoles by María Belén García López, a second guide edited by a team of authors, the Guia do pesquisador americanista no Brasil appeared in 2011. NuevoMundo’s guide to resources for Brazilian history in Spanish archives is all that you can wish for such a guide. It offers lots of information about the fondos of a great number of archives, with an additional bibliography of guides and archival inventories. The links to the websites of these archives are not included, but you can find these and much more rapidly at the Portal de Archivos Españoles (PARES). PARES offers also online access to digitized archival records held at a number of major Spanish archives. The 2011 guide at NuevoMundo gives a full treatment of a wide variety of cultural institutions and their holdings, including information about their virtual presence. A quick scan of its contents leads you to a small number of digital libraries and archival collections. The Centro do Memória de Amazônia in Belém has digitized documents from some 130 inquisitorial procesos held between 1536 and 1821. The second digital library with historical resources has been created by the Biblioteca Octávio Ianni of the Universidade Estadual de Campinas (UNICAMP). The section Obras Raras of the Biblioteca Digital da UNICAMP contains 44 titles of travel accounts and historical works, among them Barlaeus’ book from 1647. A third guide at NuevoMundo focuses on research facilities in Rio de Janeiro. In 2012 Sílvia Capanema P. de Almeida and Anaïs Fléchet published their online guide in French, Guide du chercheur américanista à Rio de Janeiro. A single example should show the merits of this guide: the Fundação Casa de Rui Barbosa focuses on the Brazilian lawyer, politician and author Rui Barbosa (1849-1923); a number of his manuscripts is kept at the Academia Brasileira de Letras. The foundation’s website has a section with the Obras Completas of Rui Barbosa, but you can find here much more. NuevoMundo puts you even more in debt with their Americanist Links selection, with a generous variety of archives, libraries, research institutions, journals, blogs and other websites. Here I spotted the website Memórias Reveladas (Memories revealed) documenting political strife in Brasil between 1964 and 1985. Its database is hosted by the Arquivo Nacional. The Brazilian national archive has also created the base de dados Acervo Judiciário do Arquivo Nacional. The Dutch period in Brazilian history will eventually be covered by the Arquivo Nacional in an online Guia de fontes para a história da Holanda e dos holandeses no Brasil, which you can consult in five languages, including Dutch. Alas this project seems not yet to have left its infancy. Anyway, the website of the Arquivo Nacional brings you at least to many other relevant links. Among the links listed at Nuevo Mundo I would like to mention the virtual exhibition Os Índios na Historia do Brasil and the REDIAL (Red Europea de Información y Documentación sobre América Latina). At the website of The Atlantic Slave Trade and Slave Life in the Americas: A Visual Record (University of Virginia Library) you can find numerous images of slavery in Brasil. How wide can you cast your net to find anything relevant and useful? The results of further searches for digital resources concerning Brasil surely do not fit in this post. The journal NuevoMundo has a companion blog, Nuevo Mundo Radar, with regular alerts to new projects and websites. An example to make you curious: at the Vanderbilt University the portal site Ecclesiastical and Secular Sources for Slave Societies covers four countries. It has a substantial section with documents and maps from Brasil, and of course links to more projects, for instance within the Endangered Archives Project of the British Library. Nuevo Mundo Radar gives me a welcome metaphor to describe the way it is possible to detect new digital resources. By the way, legal historians should know another radarlike web harvester, the Criminocorpus Radar for French criminal history. Actually both websites contain posts written by scholars. Only in sections with continous updates some automated functions (“bots”) bring you the latest information. By combining forces and by breaking through linguistic barriers it becomes possible to have a more global view of matters on a local, regional and national scale. Brasil is not far away anymore. Its history is in many ways connected to and influenced by Europe. The largest country of Latin America has a history and importance that deserves more attention. I received some nice reactons to this post. Some of them brought me back to soccer. The German law portal Virtuelle Fachbibliothek Recht at the Staatsbibliothek zu Berlin-Preussischer Kulturbesitz send out a tweet – @vifarecht – with the witty description weltmeisterisch for my words! During the championship Germany and my country triumphed over the Brazilian eleven. The Dutch proverbial saying goes that soccer is a play of eleven against eleven, and in the end Germany wins. I should honour German scholars by pointing to the Max-Planck-Institute for European Legal History in Frankfurt and their graduate school for Ibero-American legal history, with its own newsletter, list community, and to start a webpage available in five languages. In the graduate school the institute works together with scholars from Argentina and Brazil. This year’s summerschool of the International School of Ius Commune at Erice (September 30-October 4, 2014), organized by the Università di Catania, has as its theme Spanish and Italian jurists and their work in the New World. Research into the history of the Dutch in Brazil is much helped by the series Mauritiana, named after Maurits of Oranje, Governor General of Dutch Brazil. Each bilingual volume has as it main title Brazilië in de Nederlandse archieven (1624-1654) and O Brasil em arquivos neerlandeses (1624-1654)[Brazil in Dutch archives, 1624-1654], and until now Marianne Wiesebron was the author or co-author of all volumes. The first volume was published in 2004 by the Leiden Research School CNWS, following volumes by Leiden University Press. If I had found it in 2014 I would have sent you immediately to the online exhibition Brazil: Five Centuries of Change created by the Brown University as a companion website to the 2010 edition of the textbook on Brazilian history by Thomas Skidmore. On the website of the Arquivo Nacional in Rio de Janeiro you can find at least three other interesting virtual exhibitions, Brasil: o Império nos Trópicos, Nação Brasílica: 180 anos de Independência and 190 anos do Ministério da Justiça. In the Archive of Early American Images of the John Carter Brown Library of Brown University, Providence, RI, there are some 800 images concerning Brazil. This entry was posted in Landscapes, Peoples and tagged Archives, Brasil, Brazil, Colonial history, Digital libraries, Human rights, Latin America, Legal history, Slavery on July 17, 2014 by rechtsgeschiedenis. Tomorrow the birthday 300 years ago of Jean-Jacques Rousseau (1712-1778) will be commemorated, not only in France but in many countries worldwide. In this post I will look briefly at his impact on law, mainly through his views of mankind and nature. At his blog Jean Stouff published already in January 2012 a webographie, a short guide to websites celebrating the tercentenary of Rousseau. I will take over from this post a number of websites. Stouff points to the Athena website, a database at the Université de Genève with texts in French, where you will find mainly Rousseau’s literary texts. On the Canadian website Les classiques des sciences sociales [Classics of the Social Sciences] texts and pamphlets with a more political orientation are presented. For translations into English available online you can go for example to the Online Library of Liberty where you can read some of the most important texts by Rousseau, among them Emile ou l’éducation and Du contrat social. In fact you can choose between many starting points for introductions to his life and writings. I stumbled on the entry for Rousseau at the mirror at Leeds of the Stanford Encyclopedia of Philosophy. Worse choices are certainly possible! The University of Leeds organizes on June 28 and 29 a conference on Jean-Jacques Rousseau and Britain. One of the conferences linking Rousseau and law will be held at Chambéry on October 24-25, 2012, L’émancipation par le droit entre utopie et projet. Jean-Jacques Rousseau, XVIIIe-XXIe siècle, with a focus on emancipation by law. You must forgive me for not giving here an exhaustive list of all conferences on Rousseau that have already been held this year. Looking directly at Rousseau’s writings is one thing, looking at exhibitions concerning Rousseau offers a kind of contemporary window to look at this immensely influential writer. A special Rousseau 2012 blog helps you to keep track of festivities in France. The links guide you to more Rousseau websites. In particular the Rhône-Alpes region bristles with all kind of activities. To be honest, I suspect Rousseau is used here also for the marketing of this region. One of the largest exhibitions is at the Bibliothèque municipale in Lyon, Jean-Jacques Rousseau entre Rhône et Alpes. At Grenoble the municipal library presents the exhibition Avatars de Rousseau: héritage et postérités. The bilingual website of the international Rousseau Association – maintained at Lyon – brings you to more scientific activities and can bring you to more relevant information. The Art Museum of University College London had earlier this year an exhibition on Rousseau 300: Nature, Self and State, and a conference with the same title. In Paris the Panthéon, where Rousseau is buried since the French Revolution, is the location for an exhibition on Rousseau et les arts. The Musée Jacquemart-André, too, devotes special space to Jean-Jacques Rousseau, especially at its location in Chaalis. Harvard’s Houghton Library presented this year an exhibition on Rousseau and human rights. The guest curator of this exhibition took her lead from Rousseau’s use of the very word human rights, droits de l’homme, in Du contrat social (1762). In Germany the Rochow-Museum in Reckhan (Brandenburg) will bring an exhibition on Rousseau as a man of many talents, a visionary and someone often exiled or banned. The university library of the Freie Universität Berlin presents this year its copies of early editions of Rousseau’s works. For this post I have found only one recent virtual exhibition on Rousseau, Voltaire-Rousseau: l’éternel duel, created by the Centre international d’étude sur le XVIIIe siècle in Ferney-Voltaire. The database of the Smithsonian Institution on virtual exhibitions in museums and libraries worldwide brings just one example, an exhibition at the Lloyd Library and Museum in Cincinnati on Rousseau and his botanical interests. A Dutch connection to Jean-Jacques Rousseau will be explored to some extent at a two-day conference at Neuchâtel on Jean-Jacques Rousseau/Isabelle de Charrière. Régards croisés (August 22-23, 2012). Isabelle de Charrière née Van Zuylen (1740-1805) was born in Utrecht where she lived until her marriage. She wrote in French. Both authors were also composers, to mention only one connection between them. The university library of the University of Amsterdam will organize in September an exhibition on Rousseau. Last week the Zentral- und Hochschulbibliothek Luzern presented a new German translation of Rousseau’s letters on botany and an accompanying exhibition. The themes presented by Rousseau can rightfully be called familiar spots, old stamping grounds, classic themes for discussion and research. The proverbial imaginary library is well-stocked with works studying these and other subjects from ever-changing angles: the Enlightenment, the French Revolution, education, anthropology, views of nature, the scope and character of laws, to mention at least a few examples. 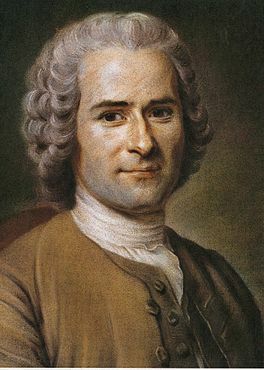 Even if Rousseau is not on his own completely responsible for introducing views of nature and mankind which influence modern thinking already for more than two centuries, he is surely the author most often associated with new perceptions of nature, man and society. Research on for example his influence on the French Revolution, and more particular the Déclaration des Droits de l’Homme, amounts to a veritable industry. Even though he did live for some time as a recluse – the original cabane can still be seen near Chaalis – he was certainly not cut off from society. Either directly on indirectly his views became quickly known and often hotly debated by his contemporaries. Rousseau brings the idea of liberty to the front in an exemplary way, both in his writings and his private life. This is reinforced by his Confessions, an autobiography which redefined the genre. Nevertheless, one should be wary about this source which is in its own way as particularly constructed as the Confessiones of Augustine of Hippo. A short summary of some of Rousseau’s major ideas does scarcely justice to him, nor does it provide a balanced view of the ongoing reception of Rousseau, not just in intellectual history, but in society at large. However, let it suffice here that for Rousseau nature gets a new significance as the untroubled, innocent and promising origin of man, instead of a state of man taken away by the fall of Adam and forever out of reach. He looked at natural surroundings with new eyes, and indeed introduced nature as an object of beauty and contemplation for its own sake. The exploring of continents and landscapes, supposed or real wilderness near city life or far away, owes to his enthusiasm, not to mention the search for the bon sauvage, the archetypical wild man living in or close to Paradise. To be sure, the concept of the noble savage is much older, and Rousseau’s actual views here might even have been interpreted incorrectly. His view of mankind as susceptible to benevolent influences has had far-reaching consequences for ideas about education and lawgiving. In a way Rousseau seems to encapsulate the Enlightenment at its most optimistic turn. His longing for liberty is perhaps his most lasting influence, shared all over the world. Maybe this brief post helps you to choose between many opportunities this summer for interesting exhibitions to visit and books to read of reread. This time I have not included a tour of digitized first editions or translations, but that voyage in the wake of Rousseau will no doubt be rewarding, too. In July 2012 the new website Rousseau Online presents a digitized version of the Collection complète des oeuvres de Jean-Jacques Rousseau (17 vol., Geneva 1780-1788), a project of the Swiss history portal InfoClio. Hat tip to Eric Hennekam! This entry was posted in Exhibitions, Landscapes and tagged France, French Revolution, Human rights, Legal history, Nature, Social history on June 27, 2012 by rechtsgeschiedenis. Last month’s post about museums and legal history cried out for a sequel, and not only because I launched the post at first in a rather unfinished state. Since that moment I have tightened some loose ends, and even better, I have added some institutions to my list in statu nascendi of museums for legal history. While working on it and by chance also at other moments it became clear that these museums suffer competition from commercial organizations which simply want to attract as much public as possible and to get money out of the appetite for sensational objects. A news item helped to get a better focus for this side of the subject. Any quiz master would rule the question “Which kind of law will attract attention most easily?” out of court, because the answer will come too readily. The additional questions “Specify a particular period” and “Can you mention at least one aspect?” go the same way. Criminal law, medieval law and torture are a kind of eternal golden braid. I bumped into this silly wisdom when I wanted to add a number of museums which show instruments of torture. In fact a number of more general museums concerning legal history, in particular old prisons, do show them also, but a select number of museums is devoted solely to these instruments of terror. It dawned upon me all of a sudden my own country does indeed have not four, but five museums for legal history. I had forgotten about the Torture Museum in Amsterdam. While searching for more museums devoted to this subject I ran into the Mittelalterliches Foltermuseum at Rüdesheim am Rhein, but also into the travelling exhibitions of the Museo della Tortura in San Gimignano. Showing the history of torture is something else than showcasing the most hideous objects, and even presenting a selection of them on tour. In my March post I benefited from the use of the English Wikipedia to find more jail and prison museums, but the people’s online encyclopedia does not stop at that point. To the torture museums listed the English Wikipedia adds references to articles on a number of torture museums which do not rank in the same league. The Dungeons firm is a chain of tourist attractions at Amsterdam, Blackpool, Edinburgh, Hamburg, London and York with historical objects with more or less pertinence to criminal law from several periods, mainly aiming at children and their parents who are willing to have a ghastly experience or even a scary day! History is here a pretext for gloating over the terrors of the past with on the back of your mind the firm conviction that our times know better, and telling the kids it is only a museum with rewards afterwards for their perseverance. At least one museum seems to bring together the best of two worlds. The Galleries of Justice Museum at Nottingham presents its fair share of tours with actors playing out stories of crime and punishment, but its educational department cooperates also with the National Centre for Citizenship and the Law for more serious forms of education. By all means I do not want to spoil the joy of a family going to a place with more or less grisly aspects, almost poking fun at terrors long tamed, but it is not as innocent as it once could have seemed. The very opposite of these attractions, however, too, are not completely museums presenting objects and stories in a detached and objective way. Human rights are the unifying theme at a surprisingly large number of museums. There are at least two worldwide federations of them, the Federation of International Human Rights Museums and the International Coalition of Sites of Conscience, and IC MEMO, the ICOM committee for museums and memorials for the victims of public crimes, should be added to them. Political correctness can be a strong force at work in these institutions dedicated to document some of the greatest crimes that have been committed in recent history. How to choose a particular subject avoiding a too general approach? How to avoid choosing a subject which excludes too obviously other subjects that would merit a museum? How to avoid sterile musealisation, the false objectivity and alienation of objects and a story, and showing instead the often confusing realities in which very different people lived? These questions arise around the project for the Canadian Museum for Human Rights in Winnipeg, Manitoba, but they apply of course elsewhere, too. The sting is indeed in the adjective recent. Violation of the integrity of humans, grave disrespect to the rule of law, indiscriminate acts of violence still happen. Today four French organizations, among them Amnesty France, published a joint press statement expressing their satisfaction about the prohibition of a proposed auction of the collection of torture instruments collected by Fernand Meyssonier, a former executioner who had been active in Algeria between 1957 and 1962. The organizations held a plea to buy this collection for a national museum or similar institution. Meyssonnier executed nearly 200 people. ACAT France, a French Christian movement against torture and the death penalty, states flatly that in every second country of the world torture is used. In 2011 ACAT France published a grim report on torture in 23 countries called Un monde tortionnaire, a world of torture. Sönke Neitzel and Harald Welzer published last year their study Soldaten : Protokolle vom Kämpfen, Töten und Sterben [Soldiers. Protocols of fighting, killing and dying] (Frankfurt am Main, 2011), already translated into Spanish, Finnish and Dutch, about the tapes of German soldiers imprisoned in England during the Second World War talking about their war experience and doings. From these materials the authors come to a devastating conclusion: ordinary people can become killing machines. This conclusion goes a long way to rebut answers pointing to other times, other countries and other cultures or solely to those in command. The beast is asleep within us. Therefore I can resist the temptation to add any image to this post, even if imagination really does not totally capture the reality of an aspect of legal history that is also today’s reality in too many places around the world. The connection of violence with law is perhaps the most compelling argument for lawyers and historians, and in fact for anyone with a mind for real life to see legal history as a vital component of their disciplines, to be neglected only at their own peril. Violence is part of the image of law. Museums and institutions which try to document and to portray the most appalling stories of mankind can help us to face these stories, and not those places which make only attractions out of them. This entry was posted in General and tagged Human rights, Legal history, Legal iconography, Medieval law, Museums, Torture on April 2, 2012 by rechtsgeschiedenis. After a long absence on my blog the walking historian has returned! Lately I visited Leiden, in particular for making pictures of several buildings in the old city. This post is about a very particular building, the former Weeshuis (orphanage) at the Hooglandse Kerkgracht. In this house orphans lived for many centuries. After extensive restoration between 2007 and 2010 this large building has not lost the historic connection with children. Law is the link between the old and the new use of the premises. Later this year I will write more about Leiden. 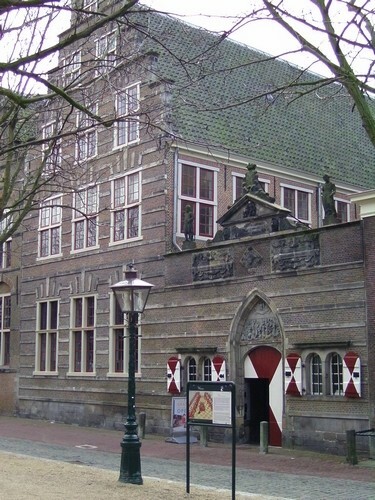 In 1403 the Our Lady’s Hospital in Leiden was founded. After the coming of the Reformation this hospital became in 1583 an orphanage, the Heilige Geestweeshuis [Holy Spirit Orphanage]. The buildings of the orphanage occupied a quite large spot in the heart of the city. In 1961 the last orphans left. Afterwards the Museum for Natural History, now Naturalis, found its home here until 1990. In that year a period of insecurity started. A number of plans was launched, but none of them was adopted by the city council. The orphanage had been owned by the national government. For the removal of the Naturalis it had been exchanged with the city for another building. In 2007 a foundation could buy the buildings for just € 13,000,- under the condition of starting large-scale restoration which costed € 14 million. It is interesting to note the regents of the former orphanage still exist and even hold the keys to the lavishly decorated board room. The foundation buying the buildings in 2007 was the Stichting Utopa, a chartered foundation funded by a number of transport packaging companies. The name Utopa deliberately evokes Thomas More and his Utopia (1516). The foundation supports a number of cultural and social initiatives in the Netherlands. For the former orphanage it was decided to create space both for the archeological center of the city of Leiden, which actually had already used part of the buildings between 1990 and 2007, and for an initiative linked with children, the Kinderrechtenhuis [Children’s Rights House]. Do the rights of children find indeed a home in modern society? In 1989 the general assembly of the United Nations adopted the Convention on the Rights of the Child (CRC). This UN treaty stands out among modern international treaties for a number of reasons. Its preamble states that one should recognize “that the child, for the full and harmonious development of his or her personality, should grow up in a family environment, in an atmosphere of happiness, love and understanding”. Probably no other treaty in vigor mentions love. The CRC was preceded by the Minimum Age Convention from 1973 in which member states are called upon to protect children from work, and followed by two optional protocols, on child traffic and abuse, and on child soldiers and the position of children during armed conflicts. In 1999 the general assembly voted for the Worst Forms of Labor Convention. A third optional protocol enabling children to file complaints with the UN Committee for the Rights of Children was adopted by the United Nations in December 2011, and ratified by twenty countries in Geneva on February 28, 2012. The CRC has been signed by more than 190 countries. No other UN treaty has been ratified by so many countries, even when a number of them has done this with restrictions and interpretations.On totally different grounds two countries have not adopted the CRC. The United States of America has signed, but not ratified the CRC. Several explanations have been offered for this fact, among them a tradition of cautiousness in ratifying international treaties, but also the possibility in a number of U.S. states – at least until 2005 – to condemn youths to the death penalty. Somalia simply cannot yet ratify the treaty because of the lack of state institutions. A third country that has not yet signed or ratified the CRC is probably South Sudan. Countries ratifying the CRC have to report regularly to the United Nations about the protection of children’s rights. Nongovernmental institutions accredited at new York or Geneva and civil society organizations, too, publish reports about the compliance of countries with the CRC. When contemplating the former orphanage at Leiden and thinking about modern protection of children it struck me that in this context the word institution has very much changed in meaning. In Western Europe hospitals and orphanages were often already founded during the Middle Ages. Both city councils and religious institutions founded and governed them. In the field of medieval canon law one can point in particular to studies by Gisela Drossbach, her monograph Christliche caritas als Rechtsinstitut: Hospital und Orden von Santo Spirito in Sassia (1198-1378) (Paderborn 2005) and a volume of essays edited by her, Hospitäler in Mittelalter und Früher Neuzeit. Frankreich, Deutschland und Italien. Eine vergleichende Geschichte (Munich 2007). She prepares an edition of a number of statutes of medieval hospitals. The care for orphans in these institutions was institutional care which could vary very much depending on the persons actually charged with daily care for them. 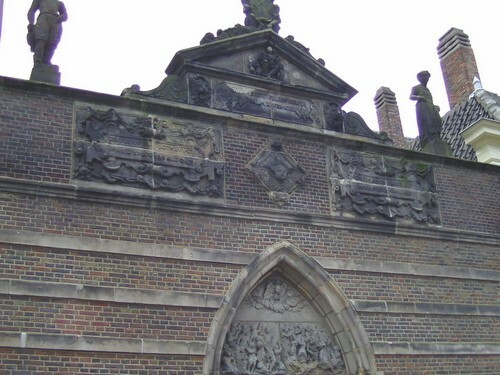 The facade of the Leiden orphanage show a relief with children looking up to a dove, the symbol of the Holy Spirit. Among the texts at the top of the facade are words from the Bible, “God is der weesen helper” [Thou art the helper of the fatherless] (Ps. 10,14) . In the field of children’s history the role of law has not always received due attention. Among studies which take into account the differences between England and continental Europe, between cities and rural surroundings, and do take notice of the impact of law are the fine books by Barbara Hanawalt,The Ties that Bound. Peasant Families in Medieval England (Oxford, etc., 1986) and Growing Up in Medieval London. The Experience of Childhood in History (Oxford, etc, 1993). 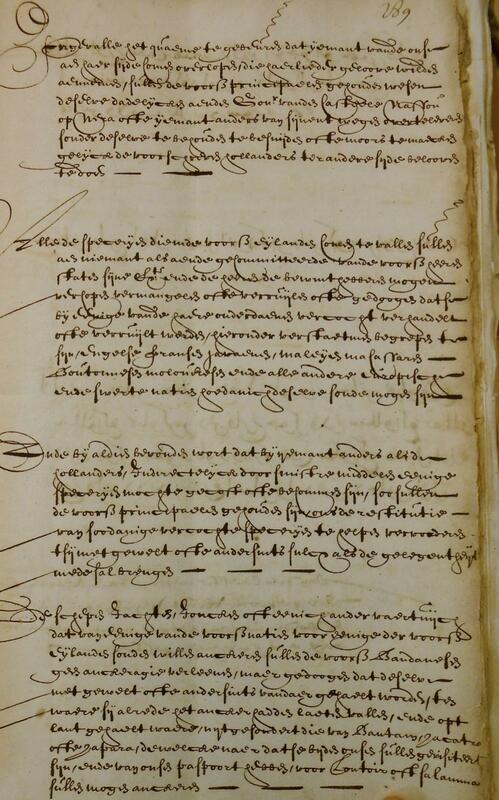 For The Ties that Bound Hanawalt used medieval coroner’s inquests as a major source. In her book on children in London she is well aware of the typical situation of this city. Hanawalt does not close her eyes for example for abuses of guardianship. She dispels the myth that ordinary medieval people did not care for children. Institutional care for children does not get much space in these studies, because in medieval England orphanages were exceptional. Let’s return briefly to the Leiden orphanage. Its archive is kept at the Regional Archives Leiden. Two years ago a book about the history of the orphanage appeared, Dit kint hiet Willem : de Heilige Geest in Leiden, 700 jaar vondelingen, wezen en jeugdzorg [This child is called Willem: the Holy Spirit in Leiden, 700 years foundlings, orphans and youth care], edited by Kees van der Wiel and others (Leiden 2010). Antoinette Frijns has published a series of articles in several historical journals, which can be tracked using the online bibliography for Dutch history. The presence of a Children’s Rights House in the Netherlands might cause some amazement. After all this country is already blessed with a plethora of organizations for the protection of children, such as Defence for Children, now also located at the Kinderrechtenhuis, and the Kinderrechtencollectief [Children’s Rights Collective], not to mention the host of supporting organizations behind this collective. Alas it is common knowledge that for instance for children who need to be protected against their parents the very large number of institutions, agencies and ministries involved with child care can cause much delay in deciding and applying the right solution. Often it is not clear which institution, not even the judge deciding a case at court, is responsible for creating and holding an overview of all necessary actions and steps. The central role of the Bureau Jeugdzorg (Youth Work) can be a blessing, but also a bane when this office fails to do proper research and to take real responsibility for the welfare of children. Instead of ensuring institutional care this situation is first and foremost a bureaucracy, the main obstacle to the purpose for which it is meant to work. More fundamental at the level of the rule of law is the question in the Netherlands and elsewhere about the desirability of the superior position of international treaties to national law. Some politicians see this as an infringement upon sovereignty. One has to take into account here the possibility of judicial review in the sense of comparison with a constitution. Under Dutch law this not possible (article 120 of the Dutch constitution). Since 2002 a proposal accepted by the Dutch parliament for making some exceptions to this rule awaits the long route necessary for any change of the Dutch constitution. In a situation of economic crisis in which countries are affected by forces coming from beyond their borders a tendency to close off from external pressure might seem natural, yet the same economic forces are working to unify economic life and the organization of society. Reports on the actual appliance of and compliance of the CRC, the earlier treaties and the optional protocols will continue to show that these rights do not descend automatically from a heaven of law and justice upon those most entitled to it. When you pass the entrance of the former Leiden orphanage you can read an inscription with a text by Janusz Korczak (1872-1942): “Children are not the humanity of the future, but today’s people”. Bridging the gap between lofty aspirations of law, be it international or national law, and day-to-day reality will remain a perennial task, a duty and a challenge. Even when not actually actively supporting this aim historians can at the very least ask the right questions about law, its blessings and pitfalls, and document its manifold history. Surely this post does not more than just bring together some matters from past and present. A blog might be just the place to offer a look on the long road between some more or less casual observations and a more substantial treatment of issues and questions. No doubt others can tell you more about the history of orphanages and the history of children’s rights, and I hope to have made at least some of my readers more curious about these themes. This entry was posted in Buildings and tagged Children's rights, Human rights, International law, Legal history, Medieval law, Netherlands on March 5, 2012 by rechtsgeschiedenis. Did you make your list of good intentions for 2011? I surely had one particular intention for my blog, to follow a much-needed list of subjects I want to write about. In January I succeeded not only in creating a number of these posts, but to my own surprise other subjects, objects and themes came to my attention. These days bring us many events and developments, and it seemed strange none of these would eventually influence me. The past and the present do touch each other. It was a matter of time before even I would find space here to present some of the connections between them. Let’s not longer write about serendipity, particular circumstances or alertness, but just present a few things that seem to stand in a particular constellation. On January 23, 2011 the Dutch newspaper Trouw published an article about the opening of an exhibition at Teylers Museum in Haarlem around their copy of the famous Description de l’Égypte (23 volumes, Paris 1809-1829). Teylers Museum is the oldest public museum of The Netherlands. It will show this encyclopedic work on Egypt’s ancient history until May 8, 2011. In the same newspaper I read about the decision of the Al-Azhar University to freeze contacts with the Vatican. The Egyptian government decided this week to cut off the internet in order to stop growing resistance against it. Which online sources within Egypt about Egypt’s reality now and in the past can still be used? As a visitor of many digital libraries my thoughts went to the Digital Assets Repository, the digital library of the Bibliotheca Alexandrina in Alexandria. Can we reach it or not? Luckily this digital library and the library’s website still function. The Bibliotheca Alexandrina has not only created a special website for the digitized version of the Description de l’Égypte, but also a website called Memory of Modern Egypt. Unlike the other websites, however, the user interface is only in Arabic. I could not reach a third website, Eternal Egypt, on objects from Egypt’s long history. The Bibliotheca Alexandrina has got its own Internet Archive, but storage of Eternal Egypt goes only back to 2007, and worse, it could not be reached when writing this post. The Description de l’Égypte is a monument to the efforts of French scholars from the Napoleonic era. One of its drawbacks is obviously that hieroglyphs had not yet been fully deciphered at the time of the expedition in Egypt and during the years of publication. In 1822 Champollion succeeded in breaking the secrets of this script when he succeeded in reading the trilingual inscriptions on the Stone of Rosetta. Too late for the first edition, and not yet included in the second 36-volume edition (Paris 1820-1830), and thus no wonder law is scarcely touched upon in this imposing work. By the way, the book title Description de l’Égypte had already been used in 1735 by Jean Baptiste le Mascrier. His book can be seen at the Gallica digital library. Back to legal history! Some types of sources from Egypt containing information on Egyptian, Greek and Roman law can safely be consulted online. Papyrology, the study of papyri, is not only an auxiliary discipline for historians, but a discipline which brings much for the field of ancient law. It is really remarkable how papyrologists have taken large steps for digital initiatives which enable scholars – and thanks to a growing number of accompanying translations also others – to take good notice of texts preserved partially or only by papyri. Gregg Schwendner and his indispensable blog What’s New in Papyrology help you to stay informed about this field and its scholars. The number of interesting papyrological websites is substantial and I had better not present them all in just one blog post, so I will restrict myself firmly to a few examples. Almost every website has a generous links selection. The Papyrological Navigator (New York University) is perhaps the most sophisticated search site available now bringing together information on papyri from other databases as well. The Trismegistos portal (Leuven and Cologne) has probably the most assets and the widest range, for it aims at presenting papyri and inscriptions from Egypt and the Nile Valley between 800 BC and 800. You can find here texts, collections, archives, downloads, special fonts for your computer and a bibliography. The texts section of Trismegistos brings you to other databases covering the field of papyrology such as the Heidelberger Gesamtverzeichnis der griechischen Papyrusurkunden Ägyptens (HGV) and the database with Coptic documentary texts (BCD) at the Université Libre de Bruxelles. Probably the most famous collection of papyri are the Oxyrhynchus Papyri at Oxford. The Giessener Papyri- und Ostrakadatenbank brings you also Greek ostraka. Giessen has even a digital library for publications about their papyri. Apart from texts – in connection with the Perseus Digital Library at Tufts University – you can also find photographs of papyri in American holdings using the Advanced Papyrological Information System of Columbia University. I cannot leave out Leiden and its papyrological institute and show at least its links collection. Those who think studying the ancient history of Egypt is harmless or disconnected from the present should surf to the website about the history of medieval Nubia. This site aims at bringing together many resources. It has been the target of several internet attacks during the last week of this month. I found this site in a link collection for the classic period of papyri. There are also papyri with Arabic texts. The university of Zürich, host to the International Society for Arabic Papyrology, has started a project for an online Arabic Papyrology School. The university of Heidelberg is working on the digitization of old Egyptological literature, including the Description de l’Égypte. Therefore even if the Bibliotheca Alexandrina and its digital library would be cut off from the web, you can still look online at the mighty volumes of this enterprise. The Dutch newspaper presenting the exhibition in Haarlem headed the article with the words ‘Battle lost, knowledge gained’ (Slag verloren, kennis gewonnen). Switching off the internet is a battle lost. This entry was posted in Digital editions and tagged Ancient law, Art, Digital libraries, Egypt, Human rights, Legal history, Museums, Papyrology, Roman law on January 30, 2011 by rechtsgeschiedenis.